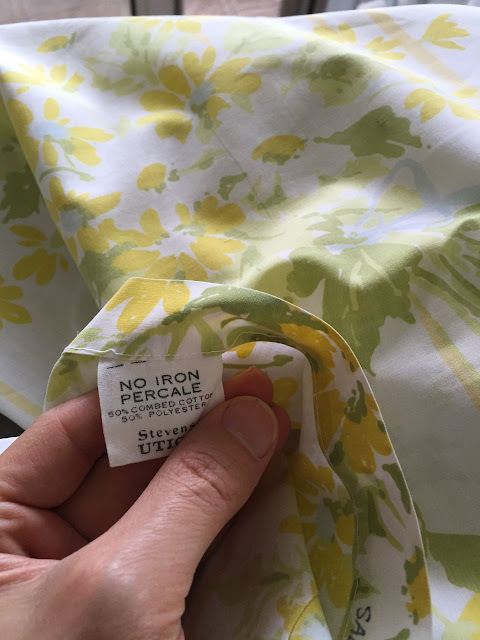 Friends, I've just completed my genuine Liberty of London summer shirt for the Mood Sewing Network. You can see me model it this instant by clicking here. 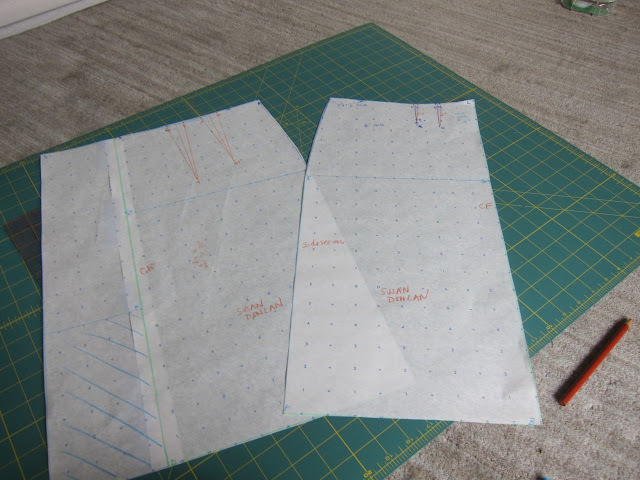 Yesterday I drafted a straight skirt pattern using Susan's measurements, prepared a muslin, and was able to have Susan try it on -- a busy sewing day! 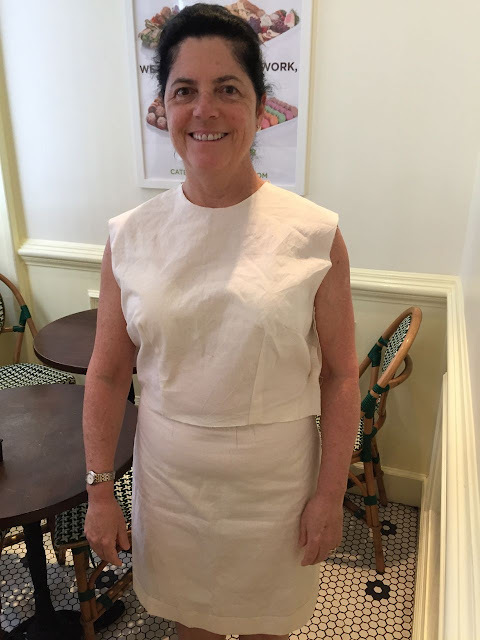 Inside Susan's RTW Wardrobe: Exploring Seam Finishes, Facings, et al. 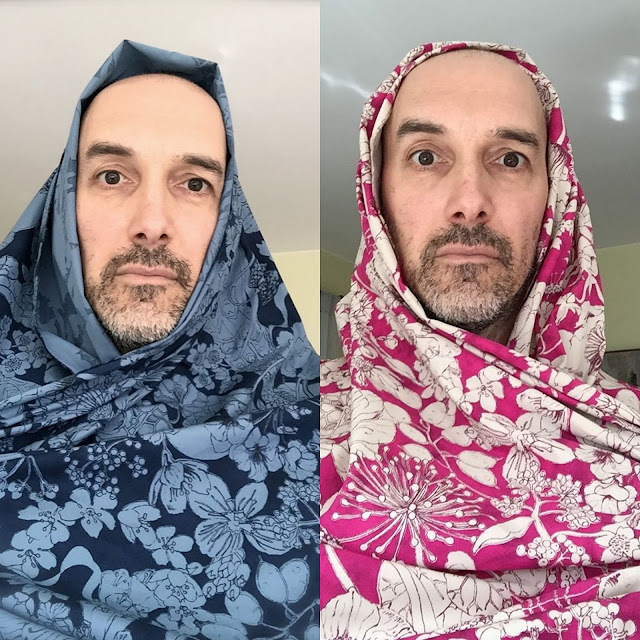 When Susan came over last week, I asked her to bring me samples of some clothes from her wardrobe that fit well and that she likes. 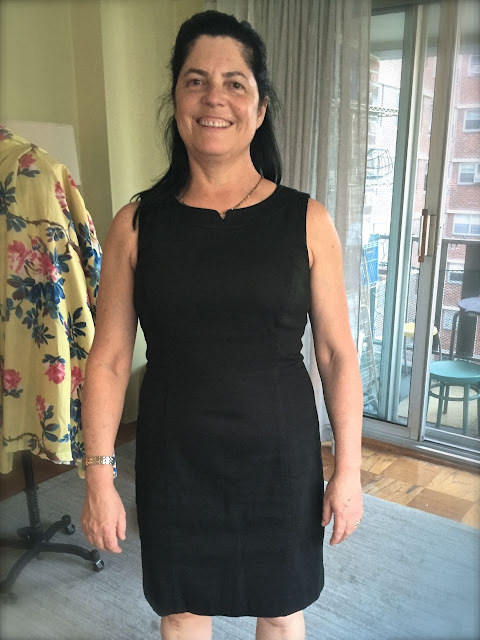 Meet my client, effervescent New Yorker Susan D! I really want to make another Ivy-style summer blazer, readers -- and maybe even a vest (my first). 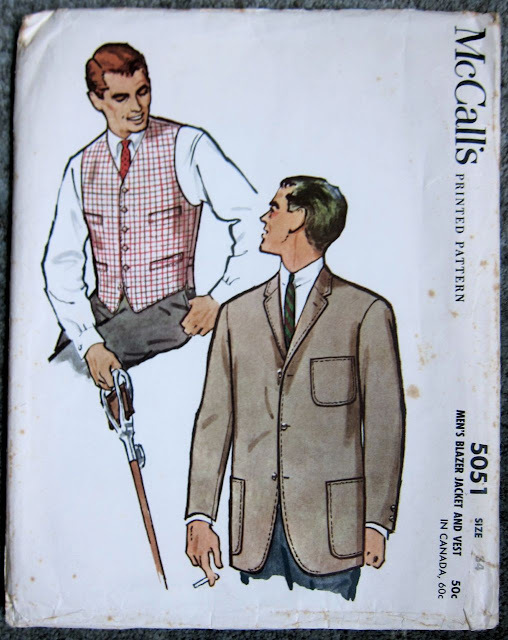 This time I'll be using McCall's 5051 (above, from 1959) in a Size 34 chest (the smallest men's size available). I'm hoping it fits me better than oversized Vogue 9445, which became Michael's tropical print blazer. 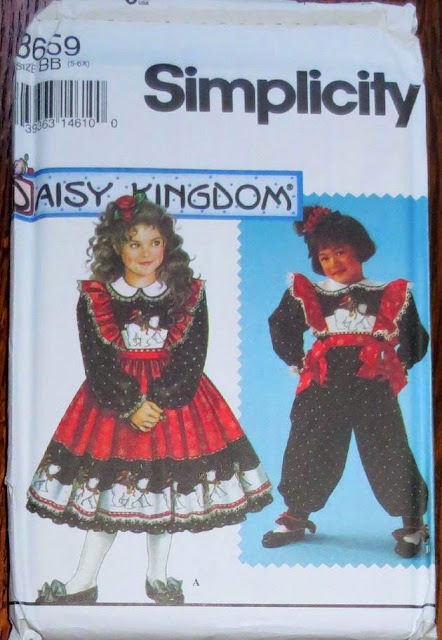 I think this McCall's blazer will likely to be a solid or simple stripe -- no hibiscus need apply. 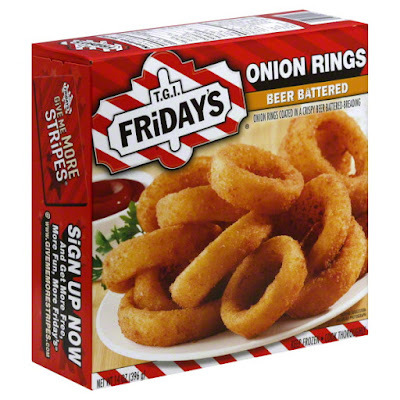 Friends, I'm thrilled to announce that our 5th (Fifth!) 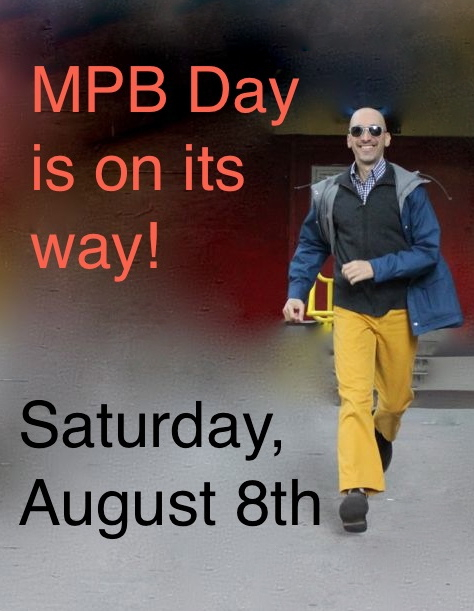 Annual MPB Day is scheduled for Saturday, August 8th!